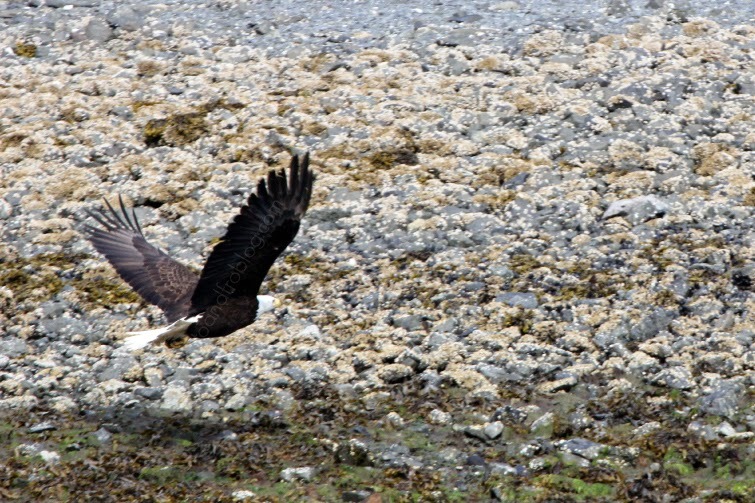 Kachemak Bay, the end of the road and beyond. Our last weekend spent living in Alaska was spent out on the Bay. 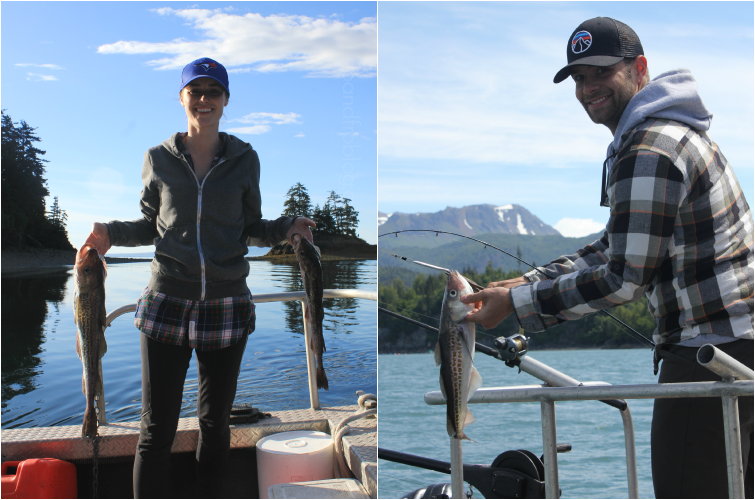 And while the fishing didn't really pan out that time, it became one of my favorite places in Alaska. Fast forward to our trip this summer. You could say we kind of needed to redeem ourselves. So the trip to the Bay was planned, and we were pumped. Before I go much further with this story, let me tell you a little bit about the Bay itself. 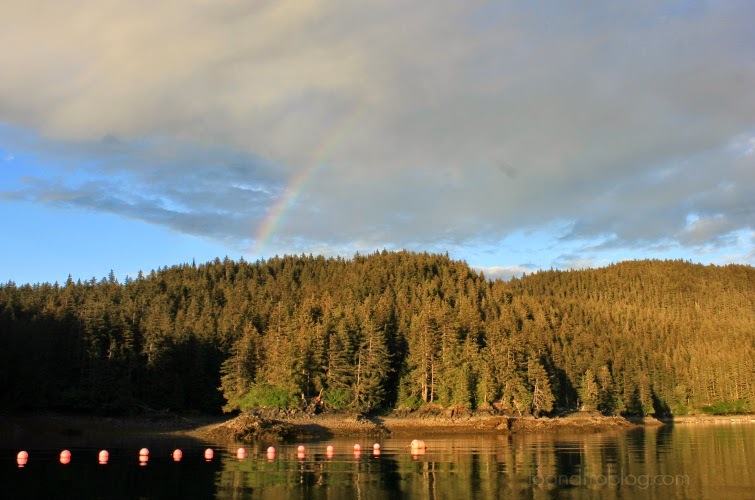 Kachemak Bay is 63 km (39 miles) long and 39 km (24 miles) wide, with more than 515 km (320 miles) of shoreline. 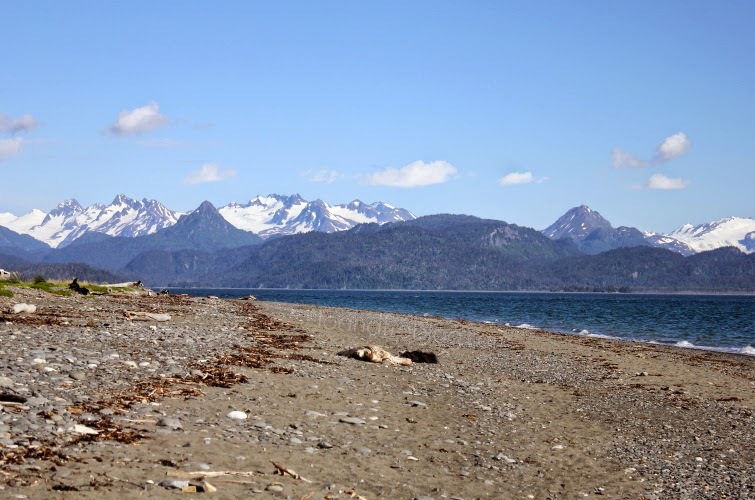 Among its most spectacular features is the Homer Spit, the nation's second largest spit projecting 7.2 km (5 miles) out into the Bay. The Spit is loaded with lots of cute shops and restaurants and the most beautiful harbor I have ever seen (see picture below for proof). 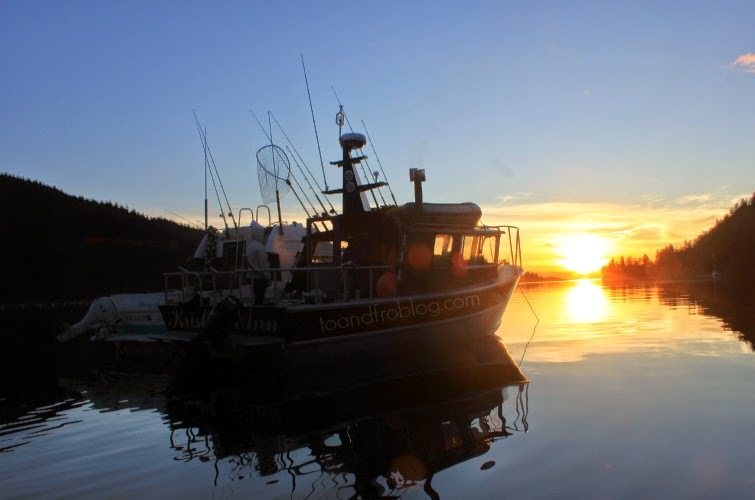 The Bay supports large concentrations of marine mammals, including whales, sea lions, seals and sea otters, as well as an important fishery for salmon and halibut and several shellfish farming operations like crab, oysters and mussels. We packed up the car Friday night and headed 3 hours south of Anchorage to our friends' in the tiny town of Kasilof (population 500ish). And then once we arrived, this view from our friends' backyard at midnight... Amazing. 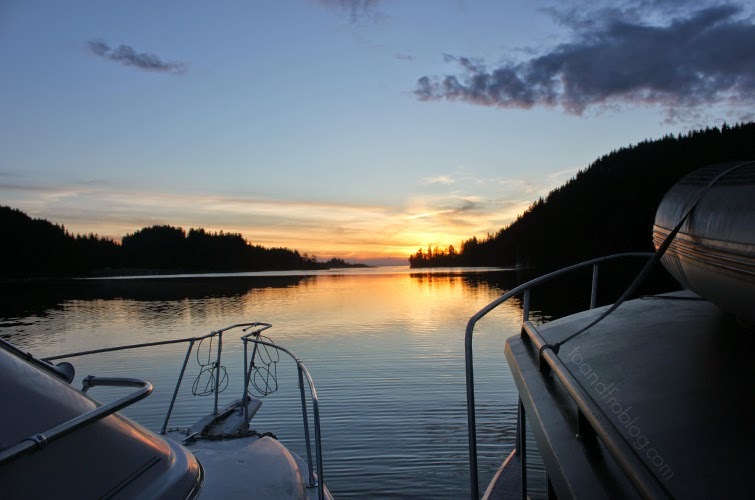 The next morning we loaded up the cars, and boat, and headed an hour south to Homer. 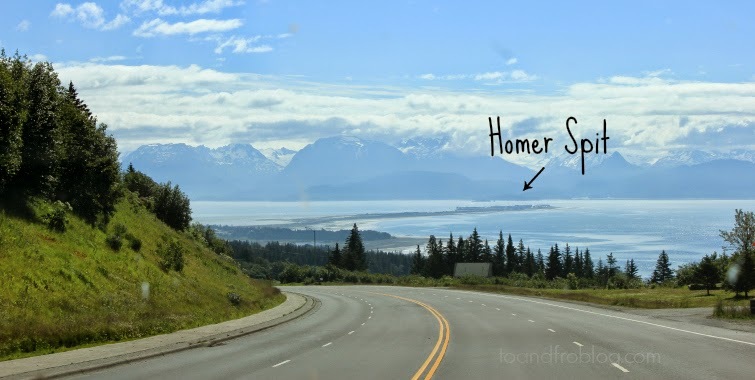 Fun fact, Homer is as far west as you can go on the North American road system. It's a pretty good looking harbor, am I right? 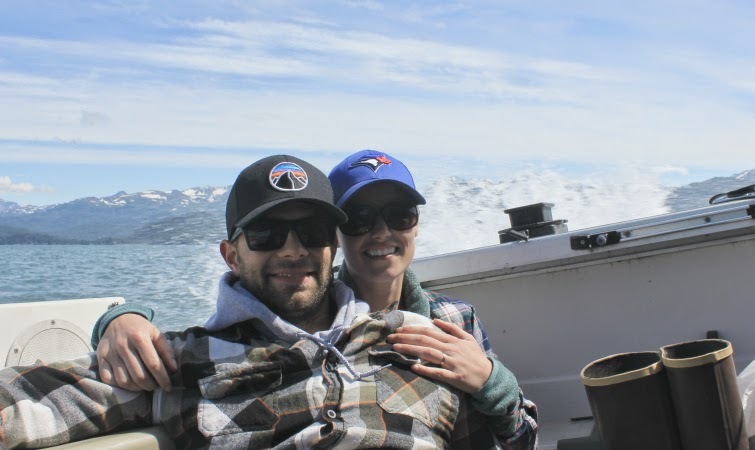 To get down to the point of the story, while the trip was amazing, once more the halibut fishing didn't exactly pan out. To keep the reason short, the waves we a little too big and we kind of, sort of, had a rescue mission in the middle of the Bay. Ok, so maybe I'm being as dramatic as an Alaskan reality show. But there was a small rescue mission when two of three boats in our crew broke down. We should probably save that story for another time though. The good thing is, all three boats, and most importantly, occupants, made it back in once piece. And, we can't say we didn't catch anything. 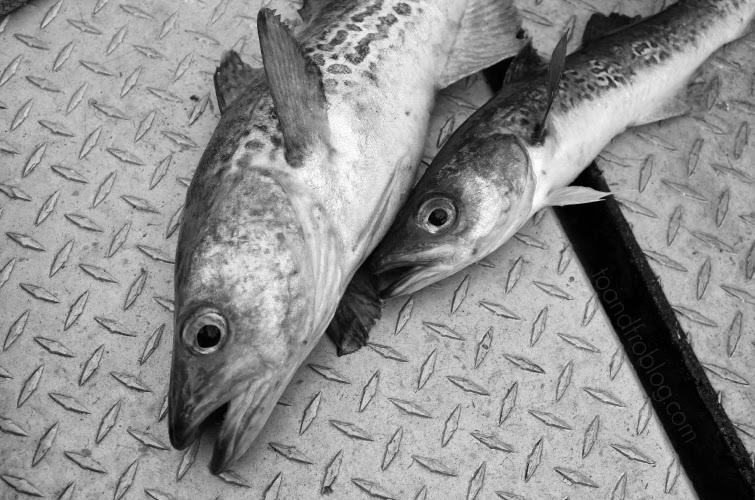 We did catch some pollock (aka fish fillet). While referred to as garbage fish by Alaskans and those spoiled with fresh halibut and salmon, we were just happy to be catching fish. And with limited effort. 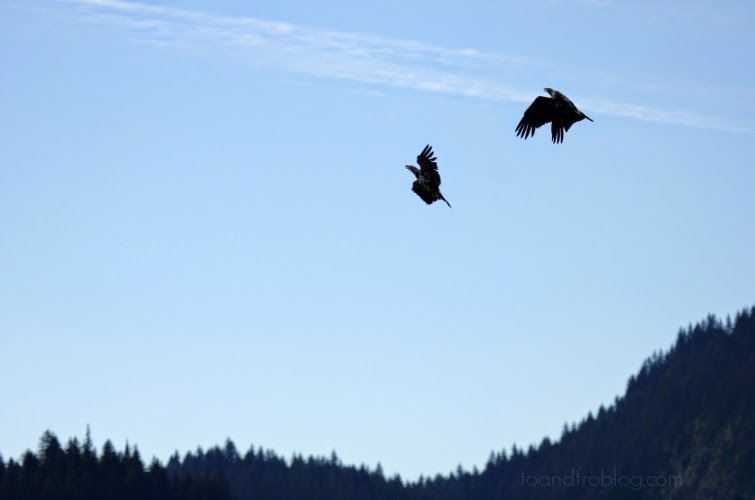 Two juvenile bald eagles playing in the air. To be honest with you, we would have been just as content not catching any fish at all. We were just happy to be hanging out with our friends. The people that we love, in the place that we love. Just another reason why I love Alaska. What a way to spend our first anniversary. That's so lovely! Beautiful pictures! 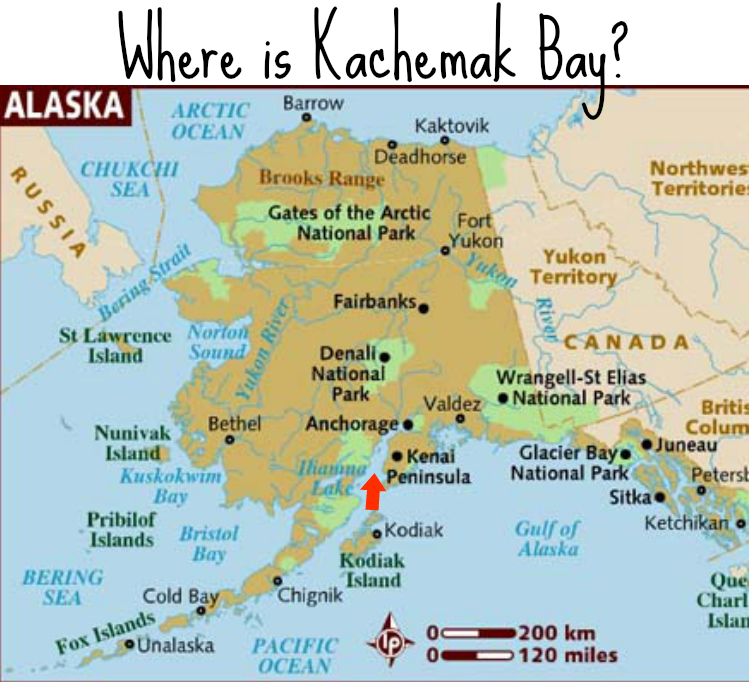 I'm obsessed with Alaska right now, I really want to go visit! 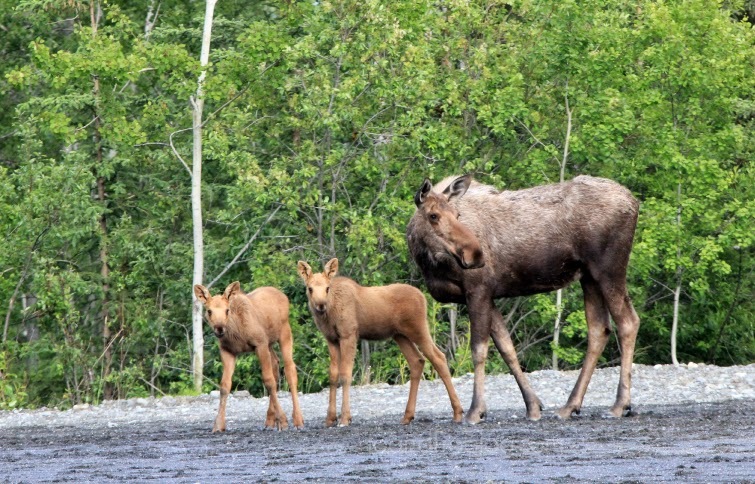 And those baby moose are the cutest! Beautiful! 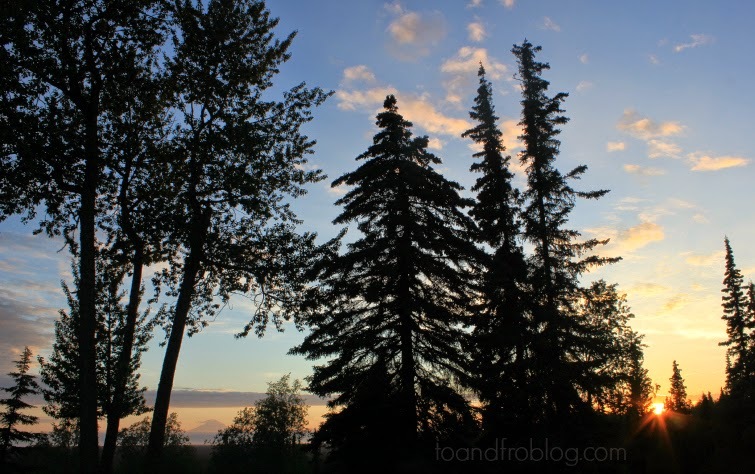 I just found your blog and I'm already loving it! I can almost feel the cool, clean air right through these photos. This just became my destination of choice for... well, whatever reason my husband and I take our next vacation. 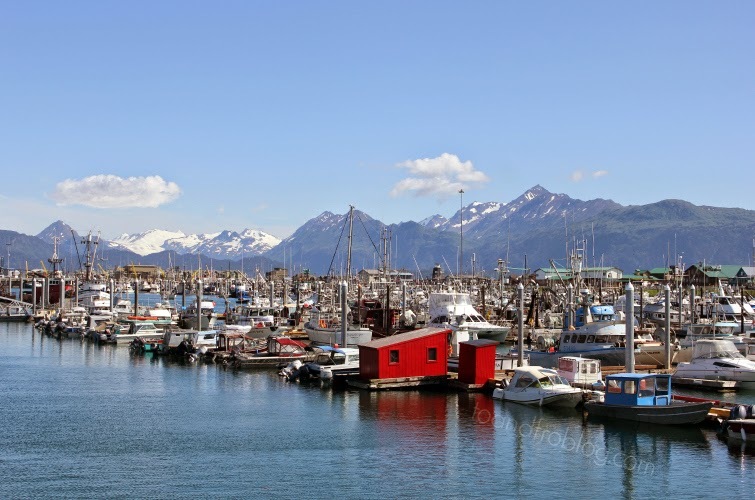 Alaska is pretty much the opposite of Florida, so it would be a wonderful change of pace! Sounds like an amazing trip. Where did you guys spend the night? Makes me homesick for Steve's dad's place in Little Tutka! 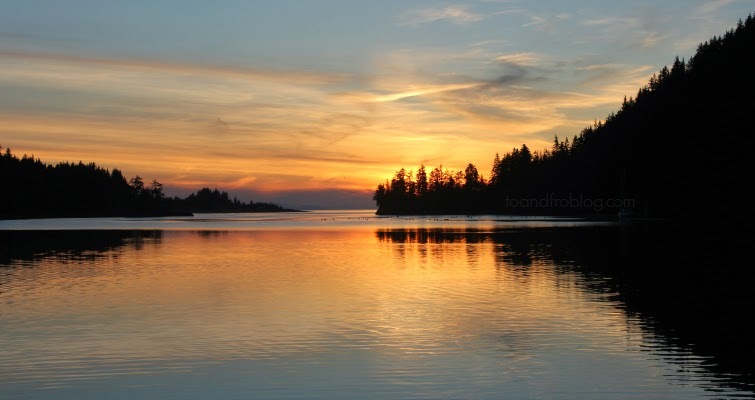 So beautiful and your photos are amazing!